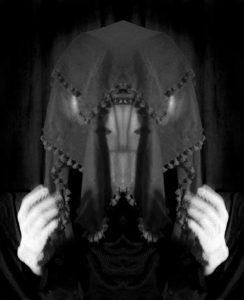 In a comparatively short period of existence, the living art of GAZELLE TWIN has made a worthy impression on the electronic music world. With the haunting intensity and unsettling future primitive of debut long player ‘The Entire City’, admirers have included JOHN FOXX and GARY NUMAN. 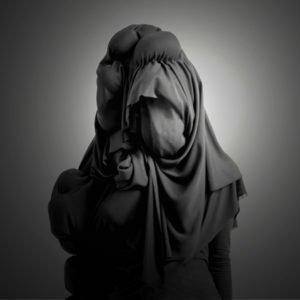 Although originally inspired by the deep tonal experimentation of FEVER RAY, Elizabeth Walling, the lady behind GAZELLE TWIN, differs with her classical vocal training and manipulated soprano stylings providing a ‘Fourth World’ vibe of possible musics like a dark angel of dystopian menace. As well as the spectre of BJORK and the enigma of COCTEAU TWINS, there has also been the influence of acts as diverse as PRINCE and JOY DIVISION whose songs have been covered on her various B-sides. The origin of the GAZELLE TWIN moniker is that it is an anagram of Elizabeth Walling, save a few letters. But also in an ancient Jewish text ‘Solomon’s Song’, there is a translation where “the twin fauns of a gazelle” are used as a metaphor for a woman’s breasts. Themes of nature, science and technology exude in ‘The Entire City’ while integrity and a strong intellectual base form the uncompromising aural palette. Great tracks such as the Paganist intensity of ‘Men Like Gods’, the fragile beauty of ‘Changelings’ and the metaphysical idealism of ‘I Am Shell I Am Bone’ are swathed in a sonic cathedral of neo-religious overtones and Sci-Fi choral chants like an act of worship in the 23rd Century. Conceived in part to be the imaginary soundtrack to JG Ballard novel ‘The Drowned World’, the mysterious sparse nature of the original compositions opened them to the possibilities of remixing. 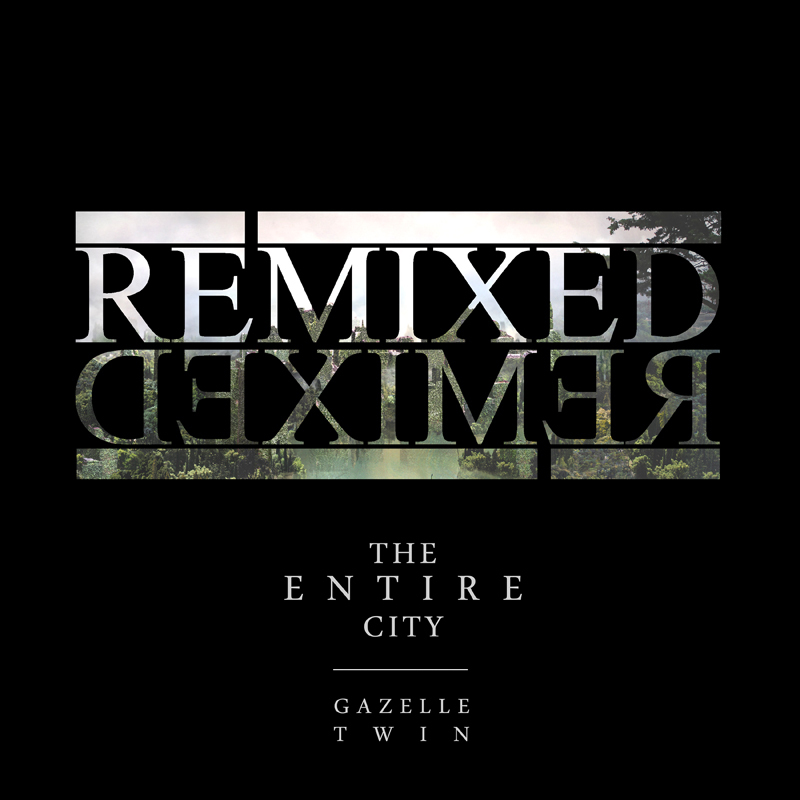 Thus, ‘The Entire City Remixed’ was born, an appendix to the parent album with contributors including ERAS, GHOST EYES, ZEBRA & SNAKE, SCANNER and ENORMOUS SHADOW as well as JOHN FOXX & THE MATHS whose remix of ‘Changelings’ also featured. Both GAZELLE TWIN’s take on ‘A Falling Star’ and the remix of ‘Changelings’ are included on the new JOHN FOXX & THE MATHS album ‘Evidence’. But Elizabeth Walling’s most high profile collaboration to date is set to be unleashed with her reworking of GARY NUMAN’s ‘We Are The Lost’, scheduled to appear on his forthcoming remix album ‘Dead Moon Falling’. 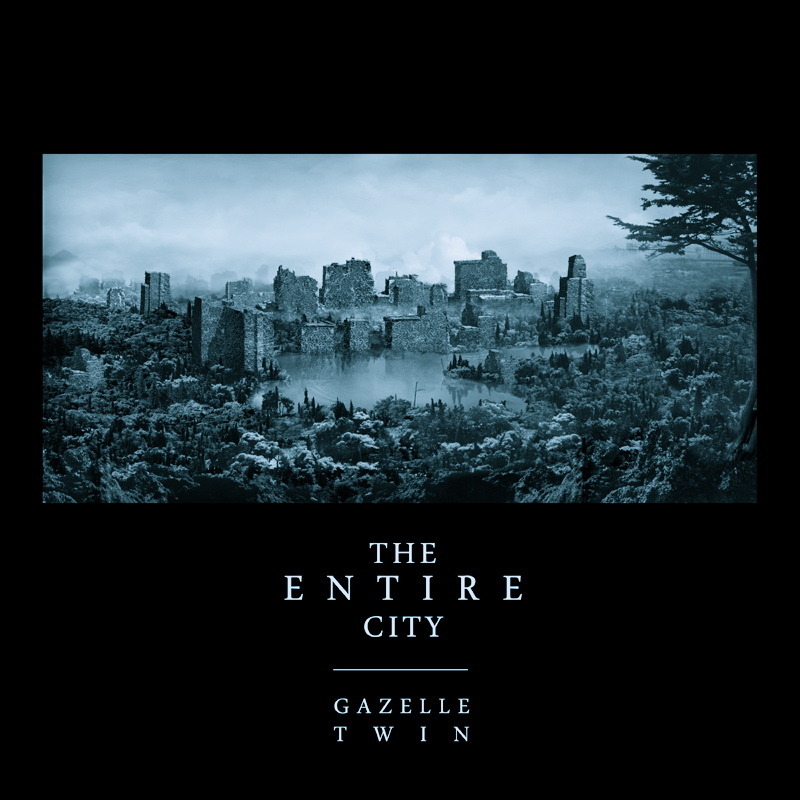 What is your own artistic background and how has that shaped the concept of GAZELLE TWIN? My creative sensibilities started very young, I was always creating, imagining and learning in my own space. I think I spent a lot of time alone as a child, or at least that’s what I remember. I had time and freedom to think and explore. I studied music formally in my late teens and early twenties, but ultimately I consider myself self-taught in everything, in most respects. 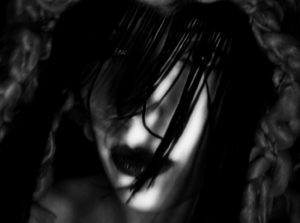 GAZELLE TWIN I think, has emerged from a gradual and very natural process of those basic childhood experiences, as well as long-held aesthetic attractions and desires which have emerged as I have grown. I have always felt different, strange, and found costume very liberating to be free from those uncomfortable moments. That’s what is at the heart of GAZELLE TWIN. As I grow older, it seems to have become my survival kit for everyday life, not just an occasional retreat into a fantasy world. It may sound intense, but really, this project, as it has grown, has helped me in so many ways with incorporating my own personal experiences (physical, emotional etc) into some sort of concrete entity that I can learn and strengthen from. Without it now, I would be a bit of a wreck. 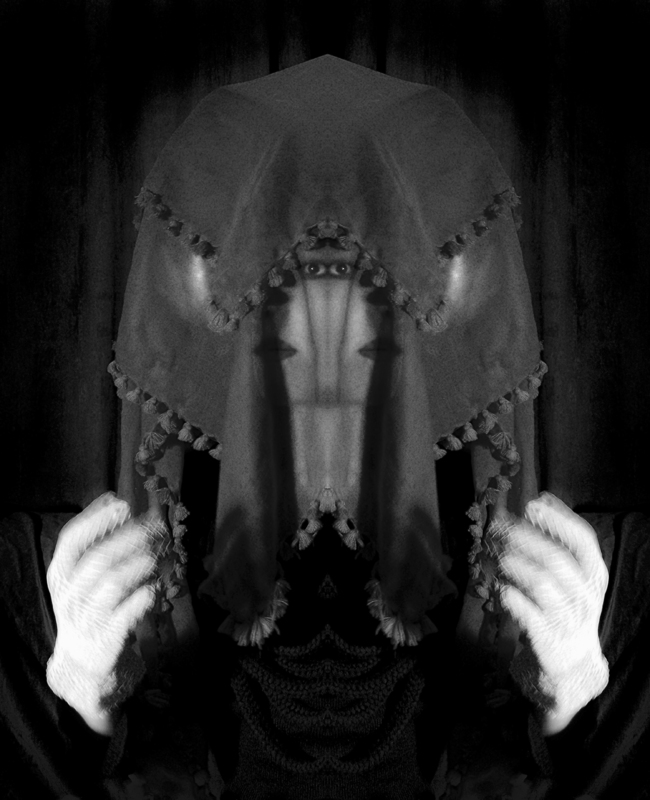 The visual aura and live presentation of GAZELLE TWIN is very mysterious and enigmatic but there were a few earlier photos which revealed your true identity as it were. What made you settle on becoming more anonymous? I found there were too many limitations on simply being myself in the context of quite an ambitious musical project and as an artist. Being female, having to wear certain clothes, make-up etc, ie all those routine things I do in everyday life to live as a regular female human… these things relate too closely to fashions, time periods and have so many preconceptions bound up in them. I wanted to eliminate that altogether as well as remove ‘myself’ from the project to allow it to grow and change into something larger than me, larger than the world around me. That is what I was doing with the music initially, it was boundless in terms of vision and scale and it needed a visual counterpart to really work. 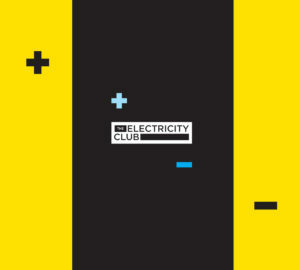 The Electricity Club first became aware of you via your cover of JOY DIVISION’s ‘The Eternal’ which was the B-side to ‘I Am Shell I Am Bone’. They make quite an appropriate pairing. How daunting was it to record that bearing in mind the song’s history? Very daunting indeed. I didn’t approach it lightly. There are some JOY DIVISION songs that should never be touched, let alone covered – ‘Love Will Tear Us Apart’ is one of them. I would never touch a song like that. It’s too iconic, too well-known. I felt ‘The Eternal’ was perhaps less familiar to people and that it could withstand a new voice, so to speak. As the second cover song I had ever recorded at the time, I tried to keep the arrangement simple, just focussing on the beat and the ‘atmosphere’. Curtis’ vocal melody is almost Gregorian in that song so I wanted to highlight that too, by removing most of the piano accompaniment. I wanted to be gentle, treating my version like a feint echo of the original rather than a completely new version. At the other end of the spectrum, you’ve also covered PRINCE. Is there anyone else you would like to have a go at covering? Yes, ‘I Wonder U was my first cover. I think the song is strange enough in the first place not to sound too stand-out alongside the rest of my music, so I was playing it safe with that one really. I found it fascinating to break the song down in order to re-record the parts, such as the bass. Actually that was part of the attraction of covering it in the first place… just to work out what the hell was going on there. I prefer covering songs written or sung by men. Perhaps because it instantly allows me to create a new perspective on it. There are countless Bowie songs that my fiancée always recommends to me which I would love to try out one day. John Foxx’s work lures me constantly for covers and Scott Walker is very tempting also. I doubt it will be long before I do one of his actually. I do have a new cover coming out on an EP called ‘Mammal’ around November time. It’s a song by WIRE – another legendary band, another iconic male vocalist… Colin Newman. This time I sought the permission and blessing from him directly. That made me feel better about it… he said nice things. What attracted you to use synthesizers in your work and which artists were your biggest influences as far as ‘The Entire City’ was concerned? I grew up with electronic music really. We had numerous keyboards and synthesizers in our house which I would always use to learn or write songs, or record on cassette players and so on. I would say they have always been part of my music-making since being a child. There is a warmth and clarity with synthesizers (especially analogue) which can replicate the same essence and quality of nearly all acoustic instruments such as strings, brass and even reeds. I experiment most with rhythm which is one of the most important elements of my creative process – so using electronics allows me to explore some really complex and unusual ideas quite easily. I love working to a mechanical pulse. There are many influences on that first album; people often like to remind me of what seem to be the most obvious but actually the least strongest ones – The Knife, Fever Ray etc – but actually my influences go way back to early music, classical, early 20th century composers such as Varese and Stockhausen to contemporary artists such as Louis Andriessen and soundtrack composers of the 80s like Vangelis, Carpenter and Brad Fiedel. I’d say choral music has influenced me more than any other music in my life as I spent the largest part of my life so far listening solely to that. I can hear elements of JON HASSELL’s avant textures in your music, is that a coincidence? Yes it must be, because I have never heard of him until now. I will check him out. The album has this other worldly atmosphere and is very unsettling in places, almost like music for horror movies… a TEC colleague described it as Hauntronica. ‘Bell Tower’ was used in a viral video for ‘Prometheus’. Has cinema inspired you musically and have you had any offers of soundtrack work? Yes. Film is the bedrock for many of my compositions in the past and now – although just as much in the thematic sense as the musical. I grew up listening to plenty of film soundtracks by composers like Morricone, Williams, Goldsmith, Herrman etc who were all inspired by the Gods of Western music: Shostakovich, Beethoven, Wagner etc. That’s a good influence to have had, even if I hadn’t studied composition formally later on in life. It really stuck with me. I’d love to work on films and even video games one day, that was always my impetus for writing. So far there have been no commisions, but the ‘Prometheus’ short film you mentioned (which I still haven’t actually seen yet) was a great thing for me, albeit very small scale. Eventually I hope to delve into film composition as my career develops. I’ll probably prefer to be a behind-the-scenes writer than a performer at some point anyway. I tire quite easily of all that already. Some observers might consider your work difficult to listen to. How would you encourage them to persevere with it? I wouldn’t try to encourage them. There would be no point. I don’t mean that to sound dismissive, but I’m not one to explain or justify my work to anyone, least of all try persuade someone to persevere with it if they don’t already have the desire to do so. Why should they? It should be a natural thing. There’s a lot of music I don’t give much of a chance to on first listen – I think gut reaction counts for a lot and of course that’s completely different for everyone. ‘The Entire City’ won quite a few notable admirers including JOHN FOXX who you later supported. He and Benge reworked ‘Changelings’ while you did ‘A Falling Star’. What do you think has been brought to each others’ songs via your reciprocal treatments? John and Benge have been wonderfully supportive to me, not just forthcoming with praise but actively involving me in their projects. I am very grateful for that kind of respect and time. It’s very rare to have that, I can tell you. I loved working on the remix for ‘A Falling Star’, it’s already such a beautiful song with lots of space. I found it hard to approach initially. It was also my first ever remix so I put myself under a lot of pressure to take care with it. I decided to just highlight John’s voice which actually works amazingly well completely on its own. But I added my own vocal to replace some of the synths. John and Benge’s remix of ‘Changelings’ was really delicate and elegant. It’s one of my favourites of all the remixes because it doesn’t alter the song much at all. I love the addition of John’s vocal in there too. It was perfectly suited. I am so flattered that they chose to put both of the remixes on the new ‘Evidence’ album. It’s really special for me. You have remixed GARY NUMAN now too. On first impression, it would appear his rockier sound of today might have less in common with your music than with say JOHN FOXX’s. So how did you respond to the challenge? I would tend to agree generally, however not with the song I was asked to work on as it happened to suit me really well. It has a middle-Eastern melodic style that is not too far away from my own palette, particularly in ‘Men Like Gods’. I also loved the textures in the beat and was really excited to get working on bringing that to the forefront. I wouldn’t say it’s the most radical remix I have done – sometimes a song is so right to be set in one style that it’s hard to take it further or add more, so really I just tried to strip it down and highlight what I liked most about it. I also added a few higher vocals to the mix to deliver a subtle feminine element. 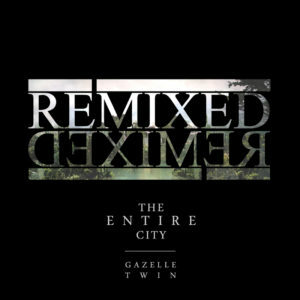 Remixes are a major part of GAZELLE TWIN with the recent release of ‘The Entire City Remixed’ collection. What inspired that and which were your favourite reinterpretations on it? It was primarily to give the original album a boost as well as open up a few opportunities to work and connect with other artists I admire such as John and Benge, Scanner and others. Some of the remixes were from requests out of the blue before I had even decided to do the album, so it was good to be able to offer them a place on an official release. My favourites on there are ‘Nest’ by FLINT KIDS, ‘Changelings’ by JOHN FOXX & THE MATHS and the BERNHOLZ remix of ‘Bell Tower’. Yes I really liked that remix too, especially when they took the time to attach it to a bizarre Betty Boop video which really works. 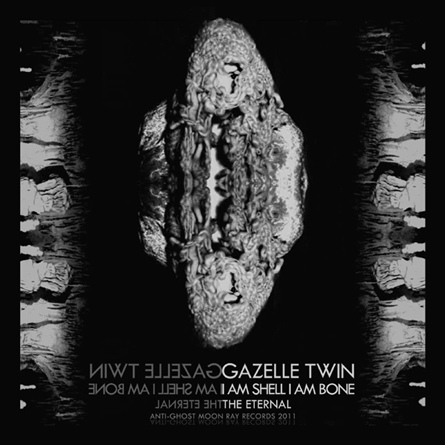 What next for GAZELLE TWIN? How is the new album shaping up and will you be pursuing any different musical avenues? I’m working on making as much material as possible and putting as much out as I physically can over the next few years. I’ve been working on some other commissions and collaborations away from GAZELLE TWIN which is very enlightening and enjoyable, if only to get a break and some distance from my own work. When I write an album it’s a bit like doing a thesis, there is a lot of research, learning, exploration and cataloguing of ideas and themes before I set about writing any music. I consider every experience and everything I come across as potentially relevant and useful to my work. That takes up quite a lot of my life. Would an audio visual element like IAMAMIWHOAMI’s ‘Kin’ be of interest in your future artistic vision? I am interested to see how far extreme abstractions like IAMAMIWHOAMI can survive in a pop context once they become better known… It’s hard to maintain anonymity and mystique for very long. This is something I am still figuring out too. I hope it can last. The music side of that project is not quite as off-the-wall as the visual side which is a shame, but that’s just my own personal opinion. I love Jonna Lee’s vision, her focus and defiance is strong. I’m envious that there is a budget and support behind it too – for those ideas to really be realised in full, cinematic glory and a vast viral campaign. I definitely wish I had some of that from time to time! I think most big ideas do require money, unfortunately. GAZELLE TWIN ‘The Entire City’ and ‘The Entire City Remixed’ are released by Anti-Ghost Moon Ray Records. The ‘Mammal’ EP is scheduled for release in November.